As we look to the future, how do we ensure that we foster interested and engaged students who are passionate and committed to joining the civil engineering workforce of the future? It all starts with their teachers. Capturing students’ interest in learning with educators who are positive role models is essential. 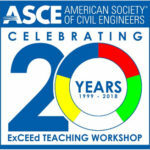 Sixteen years ago, ASCE began conducting the Excellence in Civil Engineering Education (ExCEEd) Teaching Workshop. 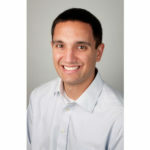 An annual program, ExCEEd was developed in response to several academic studies from earlier decades that concluded that the most common complaint from students who switched from math, engineering, science and engineering to other majors was due to the low quality of instruction and inaccessibility of faculty. While many newly minted instructors have acquired the necessary subject knowledge, they may not be prepared and nor well organized when it comes to teaching classes as graduation with a Ph.D., does not require a teaching curriculum. ExCEEd helps change that behavior. 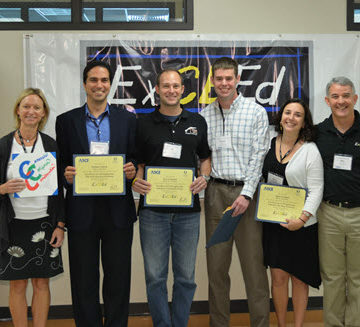 How does ExCEEd improve the quality of teaching? Funded in part by a grant from the ASCE Foundation, the program brings together a small group of civil engineering instructors and master teachers in a six-day intensive workshop consisting of seminars, demonstrations, classes and lab exercises. The workshop emphasizes structured and organized classroom activities, techniques that appeal to the varied learning styles of students, active learning in the classroom, prompt and positive feedback, use of learning objectives, frequent positive interaction with students, instructor enthusiasm and appropriate use of technology. The workshop attendees both learn and demonstrate their newly gained knowledge by teaching three practice classes before their peers during those six days of the workshop. As the former chair of ASCE’s Educational Activities Committee for many years, I believe the ExCEEd Teaching Workshop is exactly what ASCE needs as a tie to civil engineering faculty and as a reflection of the Society’s commitment to high quality civil engineering instruction and education. 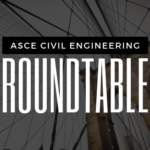 Providing a compelling resource for those responsible for shaping the minds and practices of the civil engineers of tomorrow is an important part of how our Society advances the profession. Do you remember any teachers from your past? What were the traits they displayed that made them rise to a level above their peers? What else do you think civil engineering programs could do to inspire the next generation?